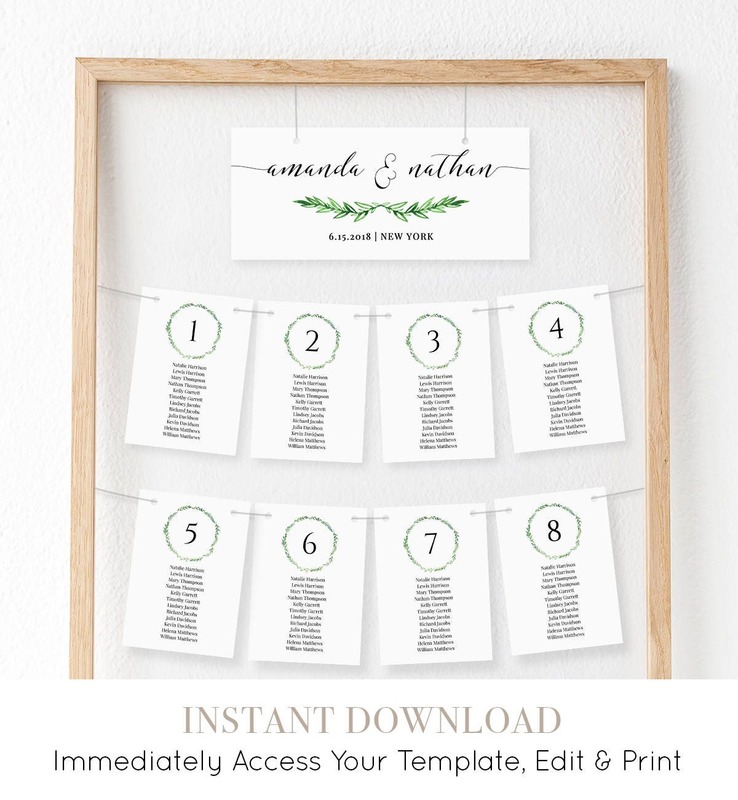 This listing is an "INSTANT DOWNLOAD" that includes a high resolution, printable "Watercolor Wreath" Wedding Seating Chart / Plan template. Access your template within minutes of purchase and edit in TEMPLETT - A fully customizable template editor that allows you to personalize your printable directly in your web browser. No software to install or fonts to download. • Watercolor artwork can only be edited for size and placement. Colors on artwork can't be changed. This template was absolutely awesome! I modified it using some graphics from Creative Market and was able to assemble a beautiful seating chart for my sister's wedding. She loved it!!! Manipulating the template was also very easy and customizable in every way. 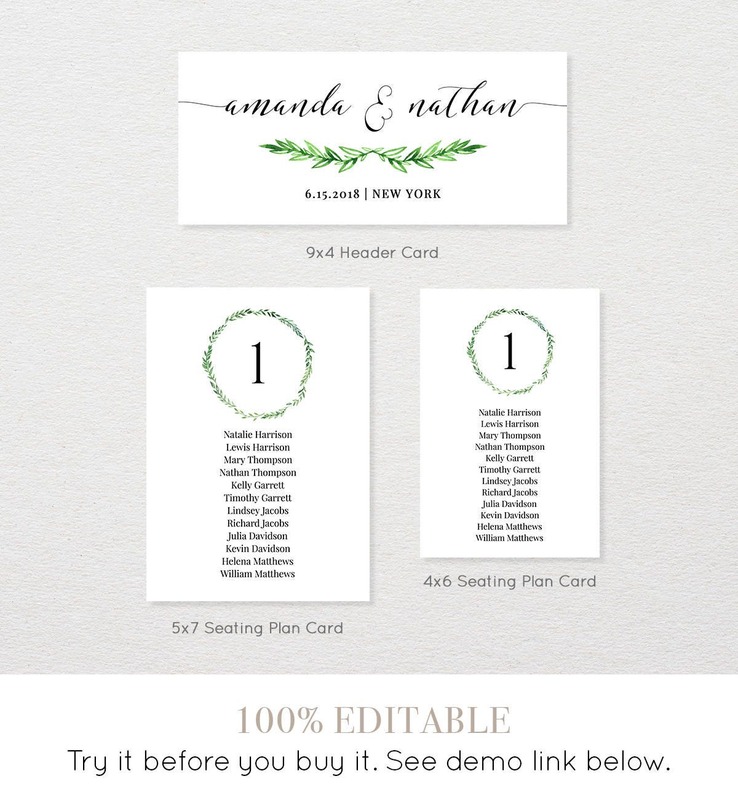 I highly recommend purchasing this template if you are planning your own wedding and want to save a few bucks. I printed the final product at Staples which was also quite simple! Have not printed the signs yet, but absolutely love them! The Templett is incredibly easy to work with and to save. Definitely recommend to those looking for signage at the wedding!